Pet grooming and boarding are two major activities pets need to enjoy a healthy and happy life. A properly groomed pet has more chances of staying healthy and fit. Similarly, the need to board a pet often comes up when you may not be available to cater for your pets’ needs. 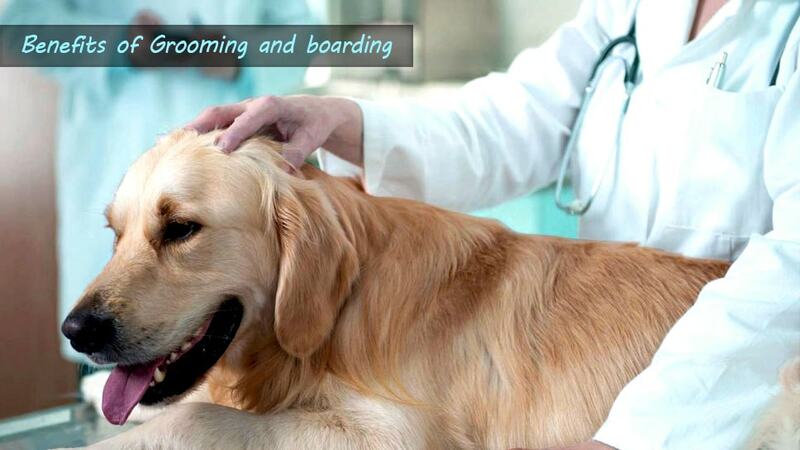 Grooming can be handled you with some practice but boarding requires external help. Thanks to League City Boarding Kennel, you can safely get your pet boarded while you go wherever pleases you if you are going to be unavailable. We believe every pet owner should be able to take provide all the basic needs of their pets whether it requires grooming or boarding. Your pet’s health and happiness depend on this and if you truly love your pet, giving it the best care should be a priority. For pet parents in League City, there is an abundance of Animal Grooming League City services like the amazing Safari Vet Care Center, League City. You can rest assured that your pet will get the very best in high-quality grooming and boarding services. Every pet owner needs to know the benefits of grooming and boarding in keeping pets healthy. Read on below to learn more about these advantages. Properly-groomed pets are usually in a better state of health than those that aren’t taken care of. A clean pet will be less susceptible to infections and disease contamination. Most pest infestation of animals which lead to diseases happens when they pet is not regularly groomed. Grooming requires washing of the body, trimming or cutting of hair and nails, brushing of furs and teeth, cleaning of ears and general body inspection to detect and treat any potential infections. When your pet is groomed often, it becomes less predisposed to ill health. Pet grooming ensures your pet is clean as often as possible. A clean pet is a happy pet and as a pet owner, you will enjoy your pet’s company, even more, when it looks and smells clean. If you are a busy pet owner and hardly have time to clean up or groom your pet, you can visit any of the amazing but affordable dog boarding League City services to board and groom your pet. Grooming when done by yourself increases your pet’s bonding with you. Dogs are able to tell you to care about them from how you treat them. On the other hand, you will also get to enjoy your pet’s companionship as they will be happy, playful and fun whenever you are with it. Pet companionship can be relaxing and enjoyable because it’s usually devoid of human drama. If you have a pet, regular grooming can be very rewarding. There comes a time when you may need to travel for business or go on vacation and carrying your pet along might be impossible. What do you do? Pet boarding provides an avenue to have your pet catered for by professional veterinarians or animal care experts while you are away. This service ensures that your pet is in the best state of health and mind leaving you free to take of your own needs. In addition, sick pets also require boarding sometimes to be close to their treatment centers. Leaving your pet alone or with family might not be the best thing to do if you’re leaving town. With a pet boarding service, you can count on their professionalism and reputation to come through. For instance, League City Boarding Kennel provides your pet with private accommodations where they are safe from getting hurt or exposed to dangers. Most Dog boarding League City, Texas services offer proper feeding and water for your pet while in their care. You wouldn’t have to worry about your pet’s feeding while you are away. If there are special feeding requirements, you can also inform the service about it so they can follow your pet’s dietary requirement. Pets love attention and yours is going to miss being cared for and showered attention if you leave it behind alone while traveling. As a pet owner, addressing this is very important if you are not going to be available for a period. You wouldn’t want your pet to become fretful, anxious and lonely so simply take it to an animal boarding center like Safari Vet so it can be cared for properly. Boarding facilities provide a closer channel for the treatment of sick pets. Your pet can be boarded there while it gets direct treatment from professionals who are resident or work at the location. Of course, you can visit your pet as often as you can and only take it home when it gets better. Whatever your pet’s needs are, a professional boarding and grooming service will provide the best. Is your pet in need of the best quality grooming and boarding? Check us out at Safari Vet Care Center, League City, Texas for a professional pet care service to keep your pet healthy and happy.